★ Which Boot is Best For Me? Pro style 13 inch ladies boot with 3 inch scallop. Normal calf diameter with inside pull straps. Don't see the exact boot you need? We can special order boots with numerous options including A, D, and EE widths, a 1 3/4" A heel, and in White, Red, Nut Brown, Bone, and Chocolate. 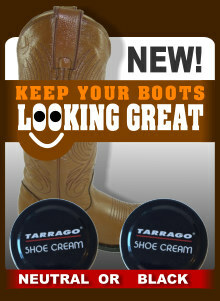 Click here to inquire about our special order boots. And if you still can't find the perfect boot for you, visit our Custom Orders page and have it custom made!